British in 1795, and the different Policy pursued there by the Dutch and British Governments. Also a Sketch of its Geography, Productions, the Manners and Customs of the Inhabitants, Etc., Etc. 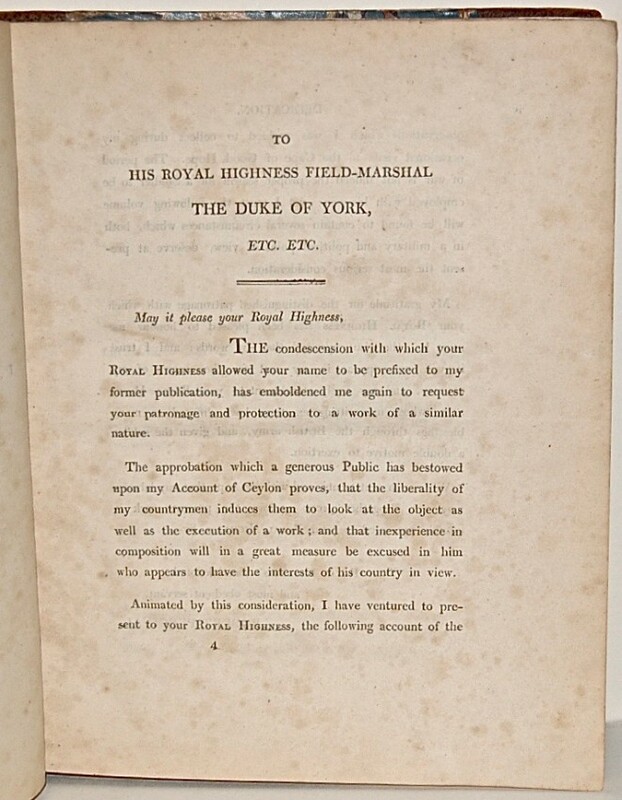 With a View of the Political and Commercial Advantages which Might Be Derived from its Possession by Great Britain. 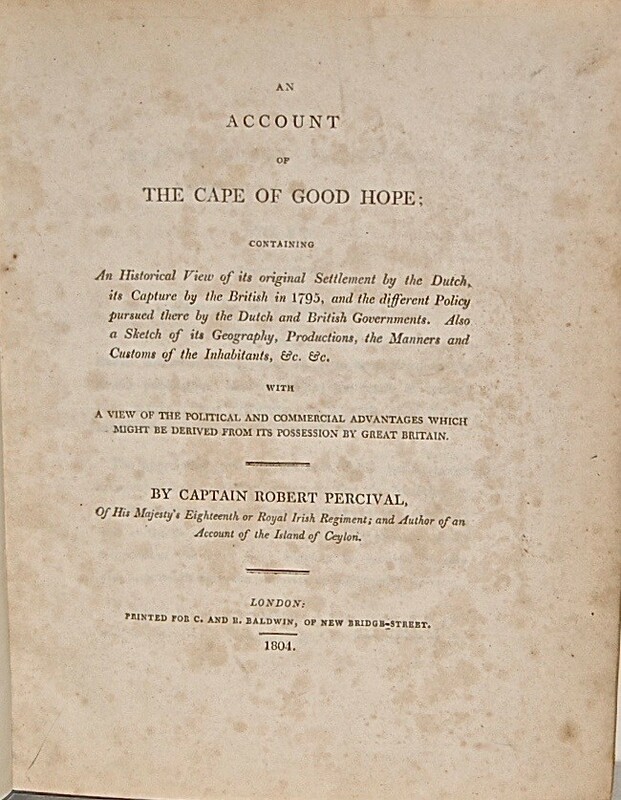 First edition, first state (pp. xii, 339). 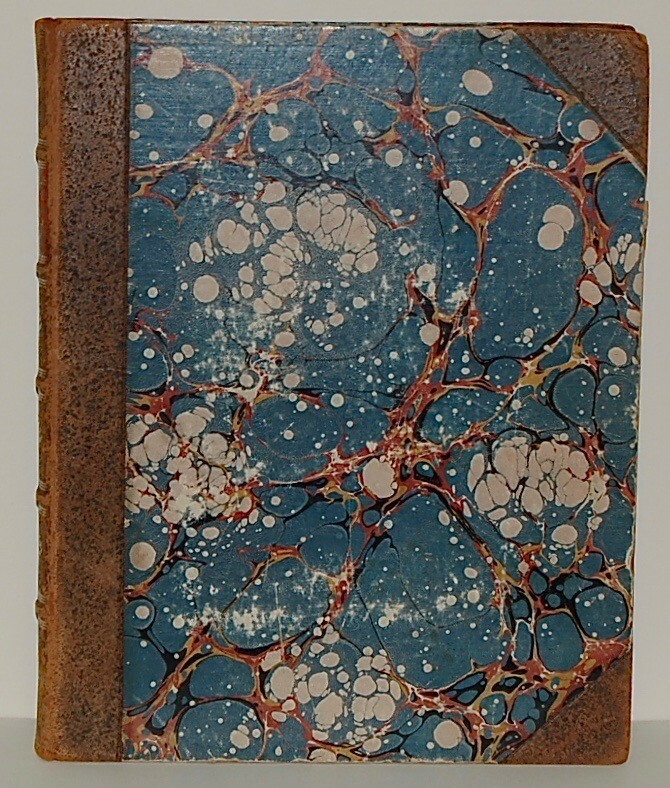 Quarto (28 cm) in quarter leather over marbled boards; gilt titles and decoration to spine; edges rubbed, first few pages toned; otherwise clean, bright and sound throughout. 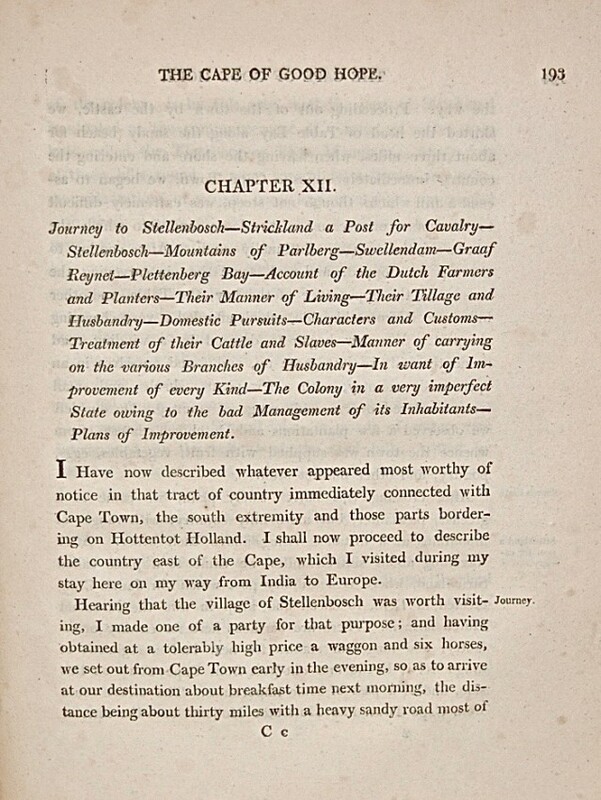 Theal was not an admirer of the captain who presumed, based on an acquaintance with region amounting to but a few months, to denigrate the Dutch as stiff-necked, intractable, and wholly unable to control the troublesome Boers. Percival’s solution? Bring in the British Army and set things straight, just as they had in 1795, with Percival in the van. As it happened, they were busy elsewhere in the new century (Mendelssohn).